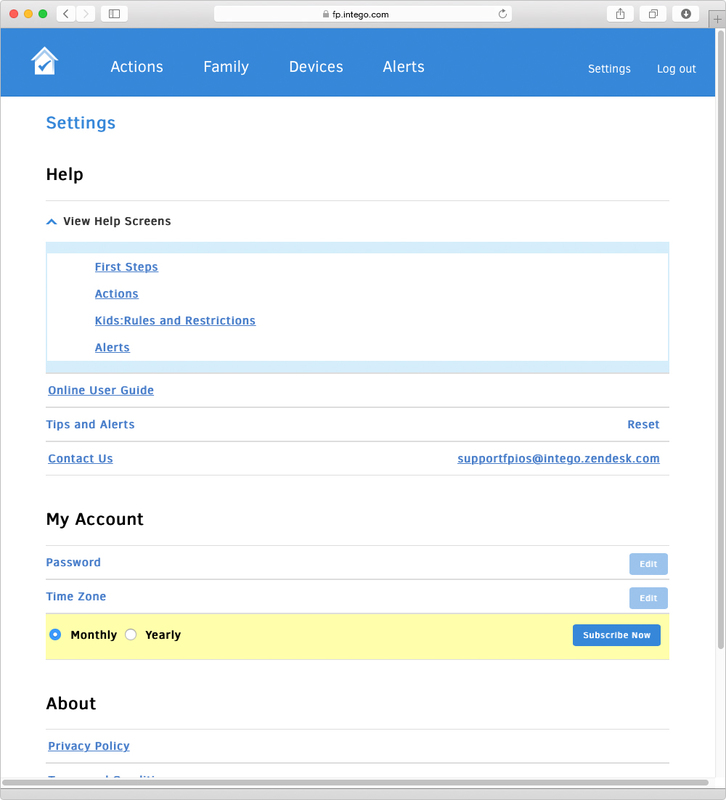 When you install Family Protector for the first time, you will be asked to create an account using the Family Protector Web Admin. After you create an account, we will send you an email with your user name and a link you need to click to confirm your new account. There are three steps you must take to begin using Family Protector. 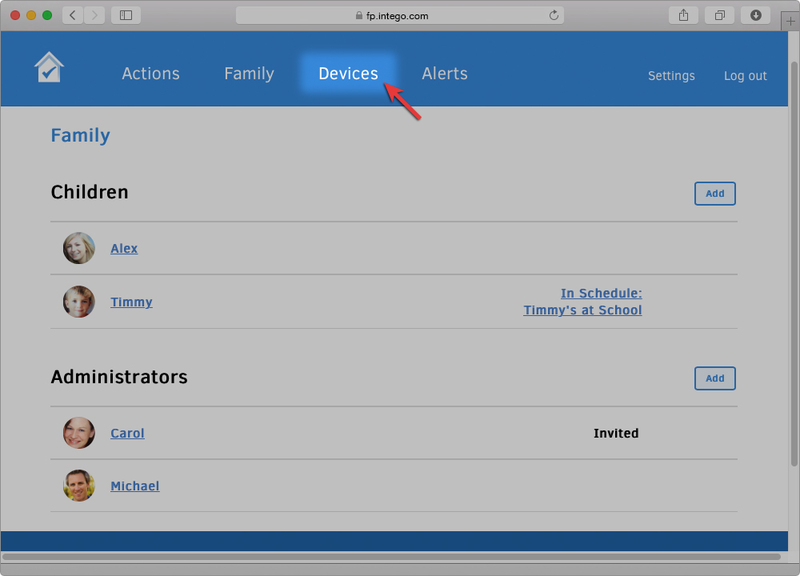 Open the Family Protector Web Admin, log in with your email and password, and then click on the "Devices" section button. In the Devices section, select the Add button and follow the steps provided (which are provided to you) to add the device to your Family Protector account. This allows you to manage the device (iPhone, iPad, and iPod Touch devices.). 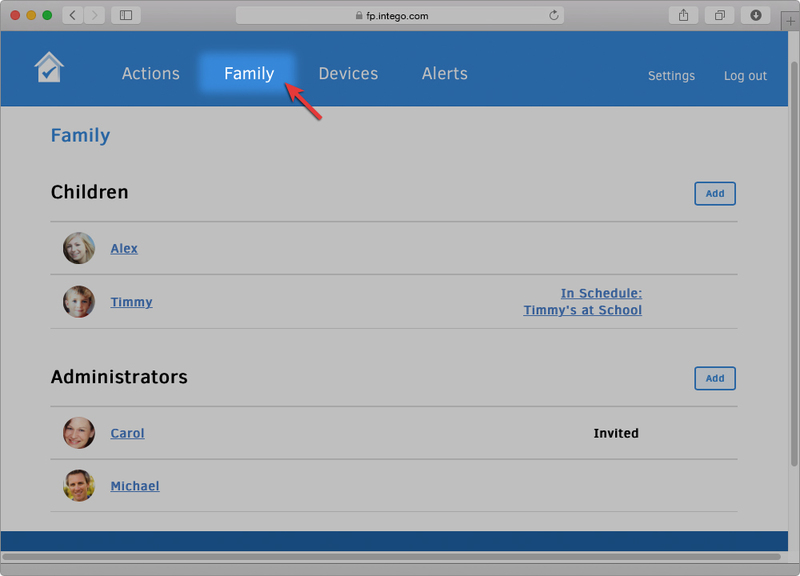 Go to the Family Protector Web Admin and click on the "Family" button. In the Family section, select the Add button to create a new family member. Then select Child and follow the steps provided. This adds your child's profile to your Family Protector account. After installing the Family Protector certificate on your child's device and adding a child to your account, you're almost set! One more step. 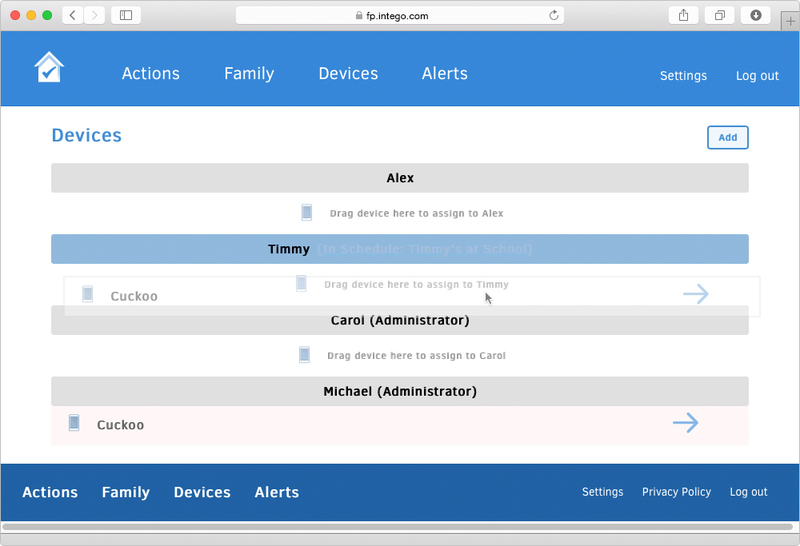 Go back to the Devices section, and then drag and drop the device to your child's name. If you need to add more children and devices, you can do so by repeating the steps above. You can always review these steps again by going to the Settings section in the Family Protector Web Admin, and then selecting Help. 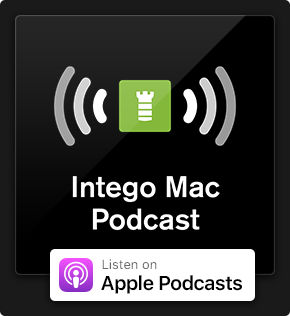 Now you're ready to begin applying rules and manage your child's iOS device. Need help getting started with Family Protector? Protect your kids. They will thank you when they're older. Download Family Protector today and give it a test run with our 14 day free trial! 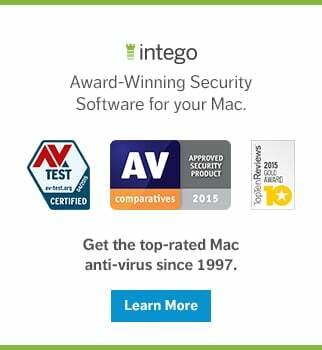 This entry was posted in How To, Intego and tagged Family Protector Tips. Bookmark the permalink.